There was a mix of Premier League and FA Cup action this weekend. Here, we’ll look at how Chelsea, Liverpool, Manchester City and Manchester United did over the weekend, as Arsenal and Tottenham didn’t play. Chelsea were dealt a blow in their attempt to finish in the Premier League’s top four when they were beaten 2-0 by Everton at Goodison Park on Sunday. Richarlison opened the scoring for the hosts after 49 minutes, heading past Kepa Arrizabalaga who had just saved from Dominic Calvert-Lewin. Gylfi Sigurdsson had a penalty saved by Kepa after 72 minutes, but he scored the rebound to give the Toffees a two-goal lead. Everton held on to take all three points against a Chelsea side who, once again, weren’t extremely impressive. 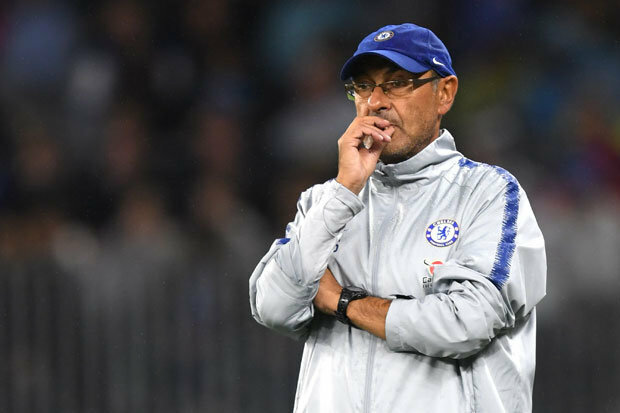 Maurizio Sarri’s men remain sixth; three points behind Arsenal, who are fourth. They always had the hope of going level on points with Arsenal with the game in hand they had, but they’ve blown that chance. It’s going to be difficult for them now, but they also have the Europa League to play for. They can’t let their heads drop and must keep fighting for both. Liverpool returned back to the top of the Premier League with a rather fortunate 2-1 win against Fulham at Craven Cottage on Sunday. Sadio Mane scored his 17th Premier League goal of the season after 26 minutes. He’s now level with Mo Salah, Pierre-Emerick Aubameyang and Harry Kane for the season, and trails Sergio Aguero by just one goal. He’s in incredible form. This game wasn’t as straight-forward for Liverpool as they’d have hoped, though. Ryan Babel equalised for Fulham after 74 minutes to give Liverpool some nerves. There was a catalogue of errors for this goal, which started with James Milner hooking the ball back towards his own goal, before Virgil van Dijk showed he is actually human when he made a mess of the situation when he should have just cleared his lines, while goalkeeper Alisson should have done better as well. Babel didn’t have to do much to score. However, Mane was fouled by Fulham ‘keeper Sergio Rico in the box, and James Milner put the penalty away with nine minutes remaining to see the Reds leave London with all three points. They didn’t play well and were perhaps lucky to get the win but Liverpool fans won’t care. Jurgen Klopp’s side are two points clear of Man City, who didn’t play in the league this weekend. City do have a game in hand, but Liverpool will be delighted to return to the summit. Manchester United crashed out of the FA Cup with a 2-1 defeat by Wolves at Molineux on Saturday night. Raul Jimenez and Diogo Jota scored for Nuno Espirito Santo’s men, who have once again impressed and taken a big scalp against a top six team. Marcus Rashford pulled one back late on for Man United but it wasn’t enough. 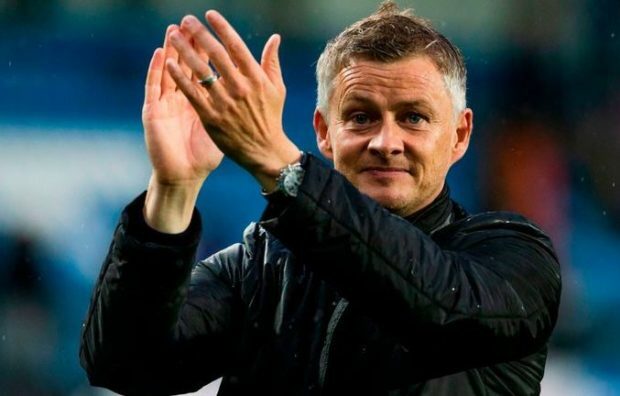 Some questions are now being asked of Ole Gunnar Solskjaer, but it has to be remembered where United were when he came in. He has completely transformed them and made them a much better side. They’re still in the Champions League and well in the race to finish in the top four of the Premier League. Before he came in, this situation would have been unthinkable. United have been seriously impressive under him, but bouncing back will be important. Going into an international break after losing and having to dwell on a poor result for two weeks is never ideal, but a home game against Watford awaits them when they return and they need to ensure they pick up three valuable points and give their confidence a boost. Manchester City marched on to the FA Cup semi-final with a 3-2 win away to Swansea on Saturday. It wasn’t all plain sailing for Pep Guardiola’s men, though, as they found themselves trailing 2-0 after just 29 minutes. Bersant Celina scored Swansea’s second, which was a wonderful team goal that Guardiola would have been proud of if City had scored it. There was some controversy in this game, though. Bernardo Silva pulled one back for City after 69 minutes with a tremendous strike with the outside of his left foot. But less than 10 minutes later Raheem Sterling went down in the box and the referee awarded a penalty. It seemed very harsh, though, as the defender seemed to get the ball. Aguero’s penalty hit the post before hitting the Swansea goalkeeper, Kristoffer Nordfeldt, on the back and going in. Aguero then scored a header with just two minutes remaining to win the tie for City, but replays showed he was offside. Guardiola spoke well after the game, though, giving out about VAR not being in use and even apologising. It’s not Man City’s fault that the referee and assistant didn’t make the right decisions. Man City will play Brighton in the FA Cup semi-final at Wembley after the Seagulls beat Millwall in a penalty shoot-out. They trail Liverpool by two points in the Premier League but have a game in hand.